Amazing work by Will Durant! Where does The Story of Philosophy rank among all the audiobooks you’ve listened to so far? The rank I gave to this Audiobook is ranking among the highest, for me is a magnificent compression of Philosophical History. 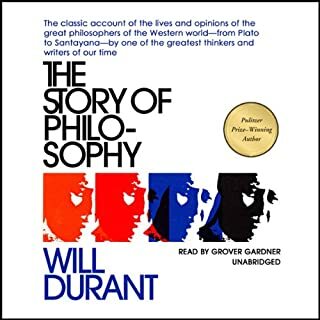 For me the most compelling aspect of the narrative was the objective and factual way that Durant used to create this great compression of Philosophical History. The performance was also good, well spoken and well emphasized with some dramatization added. In my case I love History and Philosophy, for me the hole book was a tidbit!